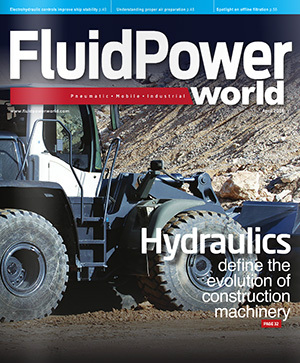 I’ve been a big proponent of associations over the course of my career covering the world of fluid power. They’ve helped me meet and interact with important industry leaders, network with readers, and understand the critical issues facing manufacturers today. I recently had the chance to catch up with Joe Thompson, the Executive Vice President of NAHAD (the Association for Hose and Accessories Distribution) to see how the association is faring. NAHAD’s membership, which has hovered around 500 for the past several years, is a split of about 150 manufacturers and 350 distributors. And this year’s attendance at the annual conference, was a very strong 950 people. Thompson explained that NAHAD heavily focuses on education and networking, as well as building relationships between distributors and manufacturers. Another key role is establishing industry standards, which NAHAD has been heavily involved in creating—especially in the area of safety protocols for quality and reliability. Thompson notes that they have spent a lot of time and effort creating the standards for hose and assembly fabrication. But there’s also a real need for associations to have strong, capable leadership. While support staff is certainly very important, committed volunteers serving on boards, committees and task groups are critical.